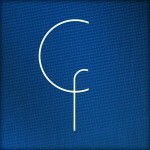 I don’t think I’ve actually blogged about TeamCFAdvance yet. That’s very lax of me. TeamCFAdvance is an initiative started by Denard Springle last year to help foster the development of Free Open Source Software (FOSS) in the CFML community. Yes, there’s been several attempts at this in the past. I’ve been involved with a few of them myself. The Open CFML Foundation is one example, focused on promoting awareness of open source solutions that are written in CFML – reaching out beyond our community. But TeamCFAdvance is very pragmatic: it’s aimed directly at our developers, to educate and encourage, to ensure that great projects continue to be maintained, even when their maintainers move on. Read the complete article on Sean’s blog.